When you want to remember to run certain scans in certain market conditions. When you want to remember to run a different set of scans on weekends. To remember to run all of the scans you like. 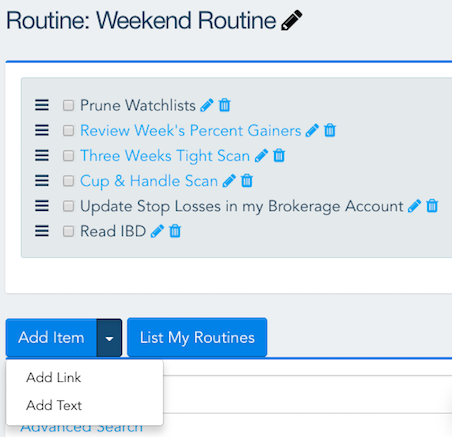 You'll see a new item in the "My Stocks" menu labeled "My Routines". That will take you to the main routines page where you can add, delete, rename or add items to a routine. I hope you'll find the routines useful. I've added some sample routines to every account. Feel free to modify them as you need to fit your workflow. 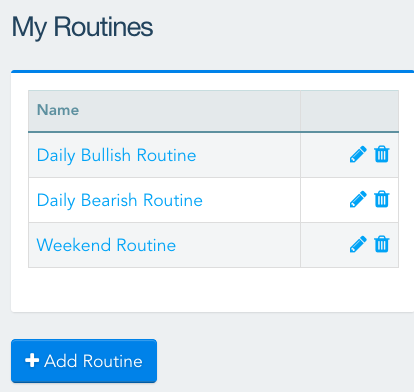 I'll be adding the routines to the Dashboard in the near future.